Dr. Sipes earned a B.S. in Pharmacy from the University of Cincinnati (1965) and the Ph.D. in Pharmacology from the University of Pittsburgh (1969) under the direction of J. P. Buckley. After three years as a staff fellow at NIH, with Drs. B. Brodie and J. Gillette, he was appointed assistant professor at the University of Arizona. There he developed a research program with emphasis on the biotransformation of drugs and environmental chemicals and on mechanisms of chemical-induced liver and ovarian injury. He is the author of over 250 research publications and several review articles and book chapters. Dr. Sipes mentored 42 MS and 30 PhD students and 27 postdoctoral fellows. He retired with emeritus status as Professor and Head of the Department of Pharmacology UA College of Medicine, a position he held since 1993. 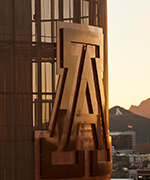 During his tenure at the University of Arizona he was also Professor of Pharmacology and Toxicology and Anesthesiology. For 19 years he served as Head of the Department of Pharmacology and Toxicology in the College of Pharmacy. During that time he was the founding Director for both the Center for Toxicology and the Southwest Environmental Health Sciences Center. Both of these centers are a result of Dr. Sipes being designated a Burroughs Wellcome Toxicology Scholar (1985-1990). Dr. Sipes has been active in a number of professional/scientific organizations. For the Society of Toxicology he served as Secretary, Vice President and President, and was Editor of Toxicology and Applied Pharmacology for seven years. He was associate editor of Life Sciences and on the the editorial boards of Quality Assurance, Annual Review of Pharmacology and Toxicology, and Molecular Interventions. Other professional activities included serving as a Councilor for: the International Society for the Study of Xenobiotics, the American Society for Pharmacology and Experimental Therapeutics, and the Association of Medical School Pharmacology Chairs. He was Chair of the Pharmaceutical Sciences section for the American Association for the Advancement of Science, of which he is also a Fellow and was a member of the NAS/NRC Committee of Toxicology as well as its its Board of Environmental Studies and Toxicology. He was Chairperson of the NIH Toxicology Study Section and a member of the National Advisory Environmental Health Sciences Council. Dr. Sipes was elected a Fellow of the Academy of Toxicological Sciences, and served as its President. Along with Drs. AJ Gandolfi and C McQueen Dr. Sipes was an Editor-in-Chief of the 13 volume series entitled, Comprehensive Toxicology. From 1998-2004, Dr. Sipes was President of the International Union of Toxicology. Currently, he is a technical advisor to the Joint Expert Committee on Food Additives for the WHO/FAO and a member and Chair of the Research Institute for Fragrance Material’s Expert Panel. Honors bestowed on Dr. Sipes include the 2007 Ambassador, Mid Atlantic Section, Society of Toxicology, the 2011 Distinguished Scientist Award from the American College of Toxicology, the 2015 Mildred S. Chrisitan Career Achievement Award from The Academy of Toxicological Sciences, and the 2016 Distinguished Toxicology Scholar Award from the Society of Toxicology.